I thanked God so much when Hakuren appear in place of Mikage, even though, he will never be as him. They're so cute! Chibi Teito and Mikage ... Want Hakuren's though! 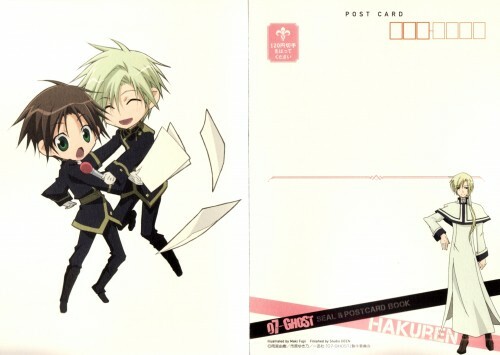 "let's dancing and singing, teito!" cool , i like both of them. Chibi cuteness. Thanks for sharing. Omg, aren't they too cute? ;___;!, thanks <3! hahahaha! those two are so cute!